One of the marvels of the modern national press is its limited self-awareness. Here’s a small example: among all the pieties uttered about press freedom after the Sir Cliff Richard judgment (there is a helpful selection here), it never occurred to any editor to declare an interest. Stories about famous people tend to increase newspaper sales and when an editor decides whether to publish a story about a famous person being investigated by the police that is potentially a factor. Most people would call it a commercial interest and if another industry was involved (banking, insurance, travel agents…) many journalists would expect it to be openly declared, but that rarely happens when the press writes about the rights of the press. Here is a more important example of editors’ lack of self-awareness: in claiming a better understanding than judges of when it’s right to name people who are subjects of police investigations they are asking us to trust their judgement, which suggests that they don’t realise we don’t trust them at all. This is something they should know. That we don’t trust them in a general way has been demonstrated often enough in surveys to be a certain fact – something like 80 per cent of people don’t trust national print journalists to tell the truth (though it’s not a figure that gets reported). That we don’t trust them on the matter raised by the Sir Cliff Richard case is freshly apparent from the recent letters pages of the Times and the Guardian, and from the comment boxes of other papers. And as if that wasn’t enough, another opinion poll now shows that an overwhelming majority of people flatly disagree with them and oppose naming people who are under police investigation. Somehow the editors can’t hear themselves; they don’t realise that they have railed against privacy law and declared press freedom to be in peril so often that, even where their case may have merit, nobody is likely to listen. They were furious about the Naomi Campbell case in 2004, and about the Mosley case in 2008. They were outraged at the granting of injunctions in the Ryan Giggs case in 2011 and about the so-called ‘three-in-a-bed’ case in 2016. And that’s just a sample. They refuse to see how little they are believed. Despite phone hacking, data theft, bribery, McCann, Jefferies, the Shoreham air crash, the Manchester Arena bomb and others, and despite their having raised two fingers to the Leveson Report and resumed their shifty business as usual, some editors seem convinced that the public might be persuaded to allow them to be the arbiters of what information is in the public interest and what is not. They are in a hole. Their words will continue to ring hollow until they rebuild trust in journalism by substantive reform and not more IPSO-style window-dressing. All this denial, all this ritual drum-beating, and the use of their pages to present a false picture of their credentials and circumstances – is just making the hole deeper, corroding even further what is left of their public trust. 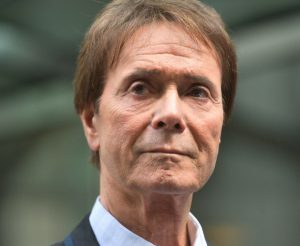 Editors would like you to believe that the judgment in the Sir Cliff Richard case is the last word, as though an axe that has fallen, and that unless something drastic is done we are doomed to a dark era of censorship. This is not the case. Privacy rights will continue to be contested in the courts, indeed it seems likely that the BBC will appeal this judgment. Editors would have you believe this judgment has wide application, but in fact the only people it might protect are those who can afford to sue (or a limited few lucky enough to get no-win-no-fee deals). Though the press never complains about or reports on this scandal, in privacy and libel there is very clearly one law for the rich and another for the rest. Editors suggest that what is at stake is their ability to scrutinise the work of the police, that if they can’t name suspects they can’t hold the police accountable. That may occasionally be the motivation in journalistic work but it is rare: the routine reason for wanting to name suspects is because of a focus, not on the police, but on who the suspect is. Editors so desperately want us to forget about Leveson 2 – the public inquiry into their own industry’s criminality that they conspired with compliant Conservatives to sabotage – that they refuse to mention that this very issue of naming suspects would have been fully addressed at that inquiry, with all parties getting their say. This piece was originally posted on Byline and is republished with thanks.